| Interview by Daniel Codella conducted on November 4, 2011. The last time we chatted with DrumCore user Justin Meldal-Johnsen, he had just finshing producing M83's brilliant "Hurry Up, We're Dreaming" album. Now, Justin is busy working on the debut album for his new band, "Digital Noise Academy." 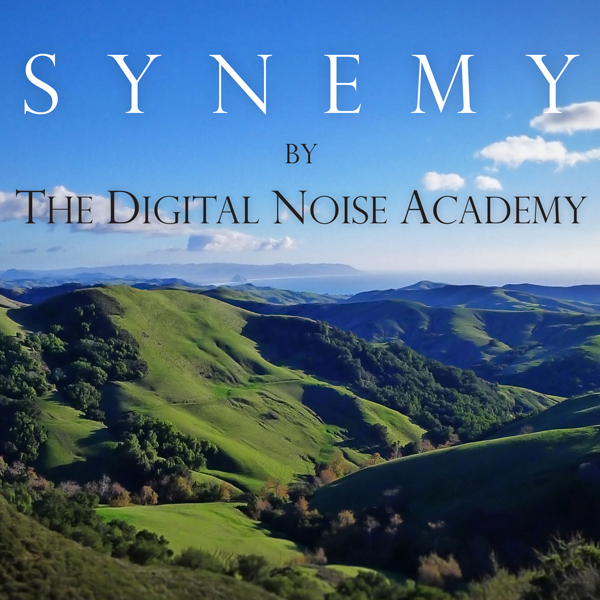 Digital Noise Academy, or DNA for short, is a super group. Members include Ken Andrews (Failure, On, Year of the Rabbit), Sharky Laguana (Creeper Lagoon), Charlotte Martin, Fernando Sanchez (Volumen Cero), Jordon Zadorozny (Blinker the Star), and of course Justin himself (Beck, Nine Inch Nails, Ima Robot). The band is about to release their 10 song debut album, and have turned to Kickstarter to fund their project. This is a unique opportunity to help support 6 talented musicians and get some really neat goodies along the way, including everything from T-shirts to recording sessions! Justin dropped us an email to explain the project and how you can help. Who make up Digital Noise Academy? Ken Andrews, Sharky Laguana, Charlotte Martin, Fernando Sanchez, Jordon Zadorozny, and myself. So, six of us in total make up the band. Our concept was originally to collaborate only in the file sharing domain, especially because we have members in Toronto and San Francisco. The thing is, we couldn't resist the idea of booking a studio and collaborating in the flesh, so the original concept got kicked to the curb. Although that still happens as it needs to. How did you all meet and where did the idea to form a band come from? We all have known each other forever, and most of the associations revolve around Ken Andrews: usually in the form all of us having either collaborated with Ken, or been in a band produced by him. In my case, we're simply very old friends. I've contributed musically to several of his projects post-Failure, and I co-produced his most recent solo album "Secrets of the Lost Satellite". There are interesting associations throughout, such as the fact that I played bass on the debut record of Jordon's band Blinker The Star. Anyway, Ken is, without question, the founder of this concept, and I'm very grateful he thought it would be a perfect idea to bring everyone together into a band. How would you describe the style of the band? Do you all have a similar musical asthetic? We do, in fact. Thankfully, it's not the kind of thing where you'd listen to it and perceive it as "oh - that's a Justin song, and that's a Charlotte song". It's dreamy, moody, dark, vaguely electronic, epic, cinematic. Do you have any producers lined up or will this be self produced? We already have too many producers in the band! Haha! No, totally self produced. What are some of the unique gifts backers of this project will receive? There's quite a lot there, including limited vinyl editions that are signed and numbered. On the higher end, there are rewards that include writing/collaborating sessions, even. Where can someone go to learn more about the project and how can they get involved? Please visit http://www.kickstarter.com/projects/1384268647/digital-noise-academy-debut-album-patronage to learn more about it. We also have our own website at http://www.digitalnoiseacademy.com/. "There were certain percussion things that we attempted to re-play with live percussion, but I think we ended up preferring the DrumCore stuff. "